Here is a roundup of books set in Maine and other guides. For such a small state, Maine has featured prominently in literature over the years. Henry David Thoreau introduced readers to Maine's wilderness in the 1840s while more recent award-winning works of fiction like The Cider House Rules and Empire Falls have used Maine as a backdrop. While you can certainly find all the information you need to plan a Maine vacation online, it's helpful to have books and periodicals to thumb through before or during a trip for inspiration about the place. Here are a few favorite reads for getting a sense of Maine, its people, and its geography. For additional ideas on novels with Maine as a setting from the likes of Stephen King, John Irving, Richard Russo, and J. Courtney Sullivan, check out the Goodreads.com list Books Set in Maine. Henry David Thoreau's classic about the Maine wilderness is an excellent resource for nature lovers who wish to travel in the state. Composed of three essays that the author wrote later in life (and which were published as one volume after his death), the book explores every nook, cranny, flora, and fauna of Mount Ktaadn (Katahdin), Chesuncook, and the Allegash and East Branch. This extensive book about the Maine coast covers territory from Kittery in the south to Acadia National Park area. Suggestions for lodging, dining, and shopping are woven into the text, which is full of historical anecdotes, suggestions for nature hikes and day trips, and insider knowledge. Elizabeth Peavey, a writer for Down East Magazine (one of Maine's premier publications), describes her findings from traveling more than 10 years around her native state. The book is a collection of her various columns and essays, and takes a light and humorous tone to paint a picture of the state. "Everything You Wanted to Know About Maine and Were Going to Ask Anyway" is the sub-header of this book, which chronicles Maine's history, top industries (lobster harvesting, forestry, and tourism), and its citizens' favorite points of interest, from diners to ocean adventures. Acadia National Park is the smallest in the National Park System but a big draw for travelers to New England. Profiled in this comprehensive book are all of the heavily-touristed sites such as Thunder Hole and Jordan Pond, accessible from Park Loop Road, as well as the rough trails, mountains, and cliffs that lure hikers, bird watchers, and adventurers. Bill Bryson's travelogue has him and his buddy Stephen Katz hike the length of the Appalachian Trail from Georgia to Maine. Although Maine is not the primary subject, this book about the history and geography of America's great eastern trail is a worthy travel companion for a trip to Maine, particularly if you plan to venture into the wilderness yourself. Of "skippers, ships, and storms," this book tells the history of Maine through its maritime routes, famous captains, and storied ships. Learn about the harbors and famous seafarers that made Maine what it is today before you arrive to explore the rocky shores on your own. If you are traveling with kids, this beautifully illustrated 1962 classic is a fantastic way to introduce them to the Maine coastline and the culture that thrives around the state's most important commodity. 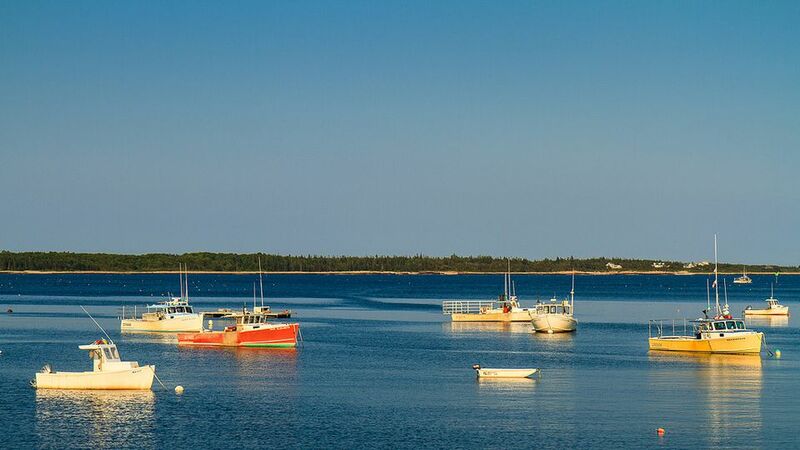 Introduced in the summer of 2012, this online guide to the food, restaurants, and chefs of Maine is the best way to stay on top of Maine's local fare. The main newspaper of Maine's largest city is the Portland Press Herald. Meanwhile in the capital of Augusta, the Kennebec Journal is the local newspaper of record. Look in these papers for event listings and local news. Maine has two great magazines that profile local personalities, chic restaurants, and travel destinations from an insider's perspective. Read Down East and Maine the magazine online or pick them up in bookstores and coffee shops while on your vacation.